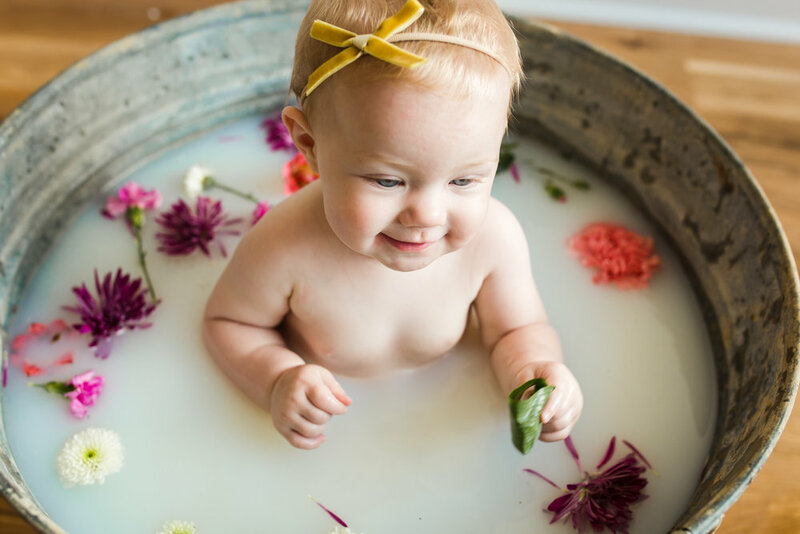 I'm thrilled any time we get to photograph our birth babes again and Miss Korbynn is almost 9 months old. She was the perfect girl for our session today. 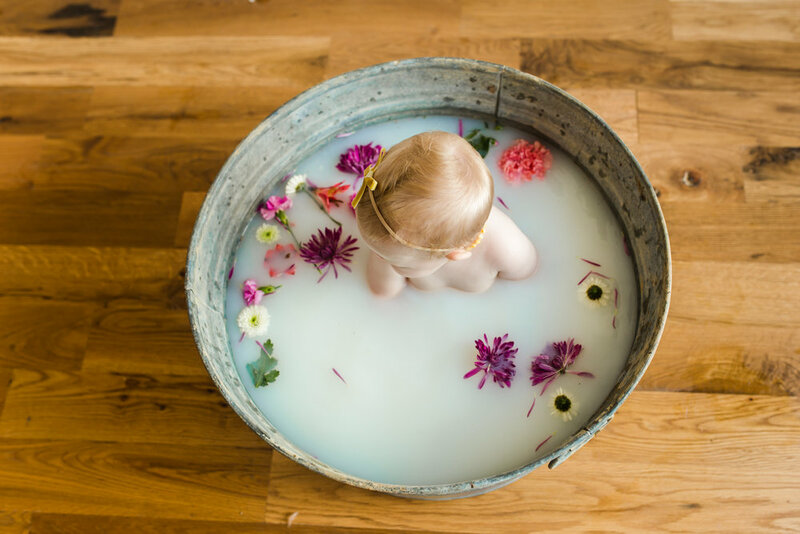 I'm so in love with these images! 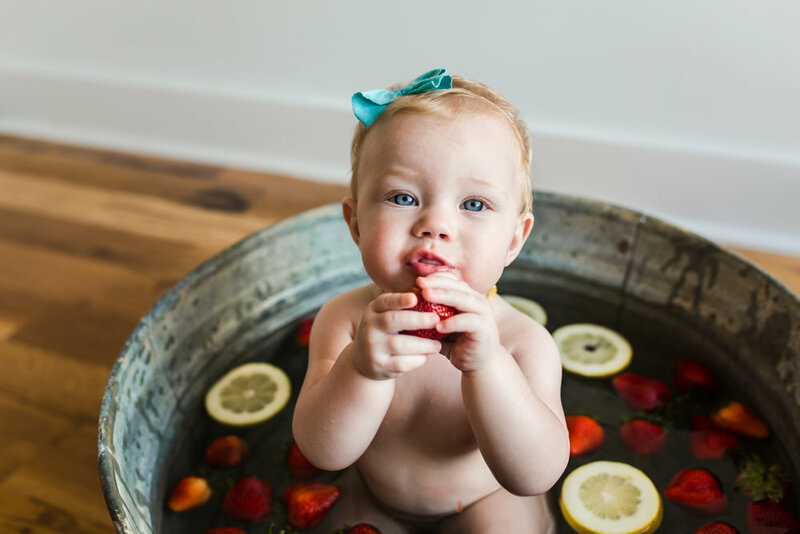 We are hosting fruit bath and milk bath mini sessions on August 4 from 10am - 2 pm (More spots added if they fill) at this gorgeous studio in NKY off the Newport exit. Click the button below to book your session!